Udo normally lives in Spain, but has been preparing himself for the extensive tour to Iran in recent years, when he initially purchased the disused fire brigade type Mercedes-Benz 709 double cabin LF8 pump 5-speed for a reasonable price in order to do installations for the usage as a camper. Only 14,000 km the vehicle had on its speedometer, which is really no mileage for the 86 hp diesel engine. In the form of a double cabin even more extensions for usage as camper caravan were noticed that were partly also "increased". Udo´s vehicle had come in it's original state, which in the interior means only 1.50 meters of ceiling height, so no real headroom. Nearly all original parts were obtained in the exterior of the vehicle, which carried a special authorization, which keeps prices for taxes and insurance low. Of course, the usage of lights had to be not only closed but also dressed up, which also applies to the siren. The expansion was then made in sandwich construction, so that's at least a certain thermal insulation became available. Behind the shutters, the mounting elements are clearly visible. 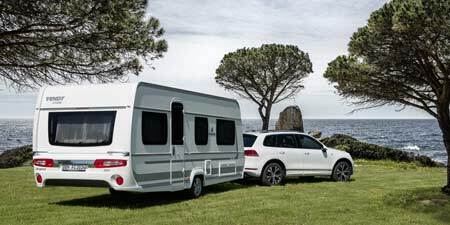 The interior contains all the areas which it necessary for a longer trip, so there is a wet room, a kitchen, the seating in the double cabin and the bedroom in the rear end of the vehicle. There is a solar water heater, which heats the domestic water for warm shower. More small details had been in Udo´s mind, but sure all installations so far had reached 7.000,- € already. From Thessaloniki Udo will first travel to Istanbul to meet with his sister for a couple of days. Then he is planning to continue his journey to the Aegean region, as Udo wants to see some of the ancient cities like Ephesus, Priene, Nysa and Pergamon. Later, he will go to Central Anatolia since the southeast of Turkey, of course, currently appears to be uncertain. Udo has got his visa for Iran already, so that no further preparations are necessary in this regard. We wished him all the best and hope for an interesting journey for him with hopefully the one or other feed back from him when he was leaving.